New Ads Mean New Guides! The first ad up is…Middle School! This one is really easy. 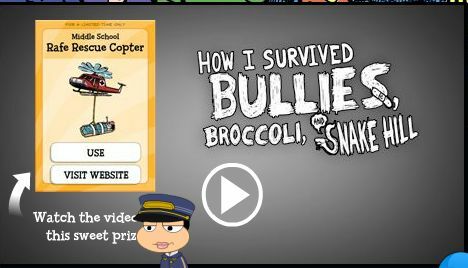 All you have to do is watch the video, and then get your own helicopter! You can find this ad on Red Dragon Island, and some other islands, too. The third ad is…Disney XD! Make sure to click the “Play Now” button to play. The ad for the ad is on most islands, bu the actual ad itself is on Steamworks. Make sure to go inside by clicking on the tunnel on the actual ad. You can see an episode called Crash Bernstein by clicking on the button that says “Visit Site.” (It’s right next to the bike when you get in.) If you want to play games, click the bike. You will wear an eyeball helmet, and there will be 4 games you can go to. Once you complete 4 games (not all of them are the ones on the map), you get to win a mystery prize! There are more games that you can play than you have to do to get the prize. Kickin’ It mini-game (part of the mystery prize) – Click on the Kickin’ It building, and then once you get off your bike, go in the building by clicking it. Then, you will race against another person. Use your mouse to move, and make sure to ride over the green arrows, and avoid cracks and water puddles. Once you finish, you will get a Kickin’ It High Kick. To go back to the other buildings, click the green button in the top-right corner. Crash Bernstein – Click on the building, and then once you get off your bike, go in the building by clicking it. Then, you will be playing Burp Along. All you have to do is repeat the burps that he, er, burps by clicking the arrows in the order he burped on your keyboard. Once you finish, you get a Crash Bernstein follower. Leave the same way. Lab Rats – Enter the same way. Play the game by matching up all of the people (The cards switch on you!) to get rid of the computer virus. It’s a really simple game, ut try to finish it before time runs out! Once you do finish, you will get Laser Vision. Leave the same way. Last game on the map – The last game is for an upcoming show, and it will come out July 8! The fourth ad is…Despicable Me 2! (I am going to see this movie also.) You can find it on Back Lot Island, and, I think, other islands. Go inside to play the mini-games. Bee-Do – Warning: Clicking on the button to play will make another tab. The instructions are on there. To go to different ramps, go in the tunnel and use the arrows to move up the ramp that was above you. If you play the game, you will get a minion costume. Bake My Day – Find the missing items! Play this mini-game by heading toward the Bake My Day door. Do what the instructions say, and play the game. The dots on the green map indicate where the objects are, so you just have to find ways to get to them before time runs out! When you see someone that has an item, or you see an item, just click the person/item to get it. After you get all the items, you will get a Fart Gun and Lipstick Taser! 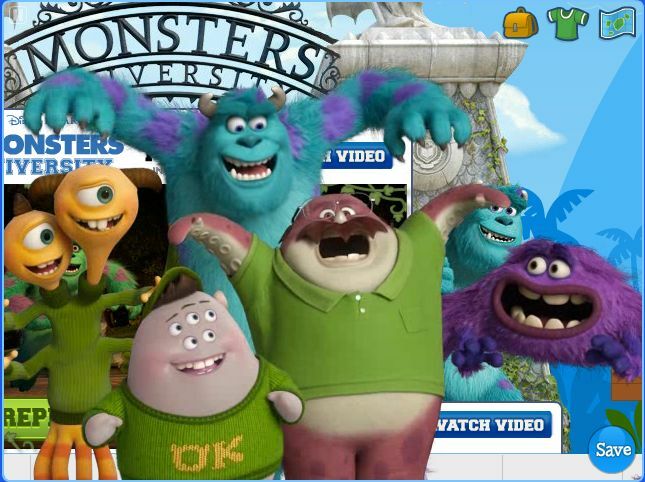 Bop A Minion – Warning: It will take you to another tab! The instructions will be on the screen. You can quit whenever you want to, and when you do, you will get the Freeze Ray. Go to the left to watch a video, go ALL the way to the left to go to the website my clicking, “Visit Site,” and you can leave by going through the door to the left. 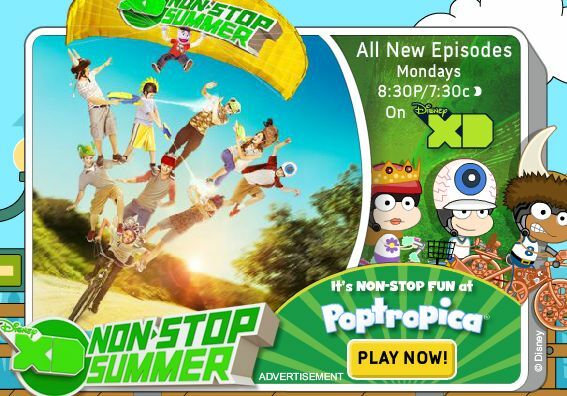 ← Disney XD Is On Poptropica!